The new governing Council of AOTA for the next 5 year-term of office has been constituted following the election of the Flag Bearers (Officers) during the AOTA Council Meeting held on October 19, 2020, at the Walt Disney World Swan & Dolphin Resort in Orlando, Florida, USA. Elected President was Takashi Akamizu (Japan) with Teofilo San Luis Jr (Philippines) and Wei Ping Teng (China) as Vice Presidents, Won Bae Kim (Korea) as Secretary, and Masanobu Yamada (Japan) as Treasurer and concurrent member of the Program Organizing Committee (POC). The POC will be headed by Liu Chao (China) with Minho Shong (Korea) as another member. Rejoining the new AOTA Council are Duncan Topliss (Australia), Fereidoun Azizi (Iran) and RV Jayakumar (India). Coming in for the first time are Iwao Sugitani (Japan), Sun Wook Kim (Korea), Tjin-Shing Jap (Taiwan), Faridul Alam (Bangladesh) and Tjokorda Pemayun (Indonesia). The Council will constitute a Task Force to go over AOTA’s Articles of Association (AoA) and propose amendments to guide AOTA in meeting the various challenges of the organization, notably in the area of membership and representation in the Council. The last amendments to the AoA were introduced by the Council in November 2009. 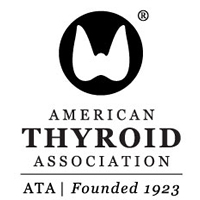 The AOTA recognized 11 authors of abstracts submitted for the 15th International Thyroid Congress held in the Walt Disney World Swan & Dolphin Resort in Orlando, Florida, USA. The recognition was done during the AOTA General Assembly on December 19, 2015. The Young Investigators Award carries with it US$ 1,000 prize and a Certificate of Recognition. 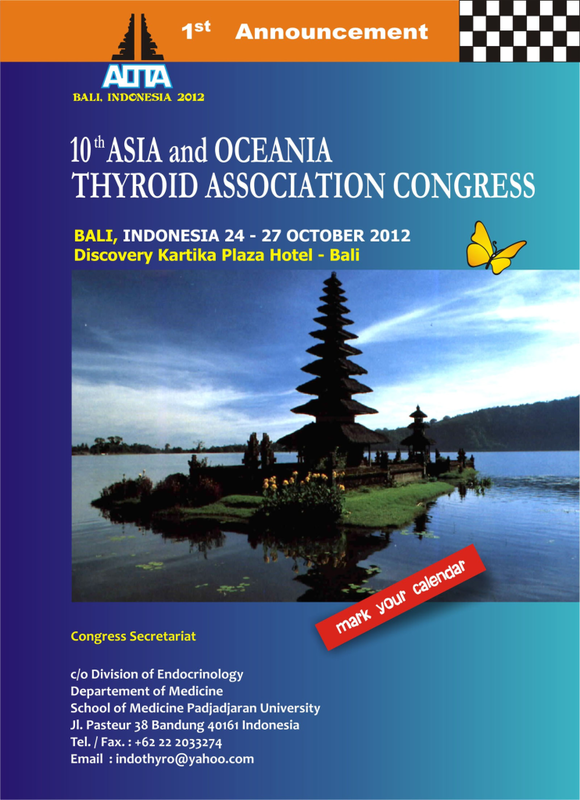 The European Thyroid Association, in its 35the Annual Meeting in Krakow, Poland, last September 2011, conferred upon Prof Shigenobu Nagataki, an Honorary Membership. According to the ETA Statutes, Honorary Membership is conferred upon persons of great distinction who have rendered an exceptional service to the study of the thyroid gland. As Honorary Member, Prof Nagataki joins an illustrious list composed of Jacques Dumont (Belgium), Ragnar Ekholm (Sweden), Bror-Axel Lamberg (Finland), Gabriella Morreale de Escobar (Spain), George Hennemann (The Netherlands), Aldo Pinchera (Italy) & E. Dillwyn Williams (UK). It is noteworthy that Prof Nagataki is the first Asian to become ETA Honorary Member. Prof Fereidoun Azizi has been named by the Iran Academy of Medical Sciences as its Distinguished Scientist for the Year 2011. This distinction is given to scientific professionals who have proven themselves outstanding in their work in the field. Prof Azizi is head of the Iran Endocrine Society and one of AOTA’s Council Members. He is the Middle Eastern Regional Coordinator for the International Council for Control of Iodine Deficiency Disorders (ICCIDD) and has been active in thyroid work in his country and the region. He coordinated the annual World Thyroid Day activities in Iran for the past 3 years. In 2009, he was the recipient of the AOTA Nagataki-Fujifilm Prize given during the 9th AOTA Congress in Nagoya, Japan. The allure of Paris, France proved irresistible to some 3,000 participants trooping to the Palais des Congres for 5 days in the fashion & cultural capital of the world. The 14th International Thyroid Congress (ITC) held on September 11-16 was hosted by the European Thyroid Association (ETA) whose turn it was after 20 years. ITCs rotate every 5 years through the continents (Buenos Aires, Argentina in 2005; Kyoto, Japan in 2000; Toronto, Canada in 1995; The Hague, Netherlands in 1991, instead of 1990). The Paris Congress was, by far, the largest ITC in terms of attendance. Not surprisingly, since the ITC Program Organizing Committee (composed of 3 members each from ETA, ATA, LATS & AOTA) spared no efforts in developing a tightly-packed scientific program interspersed with Social Events at the historic Versailles and various city tours. 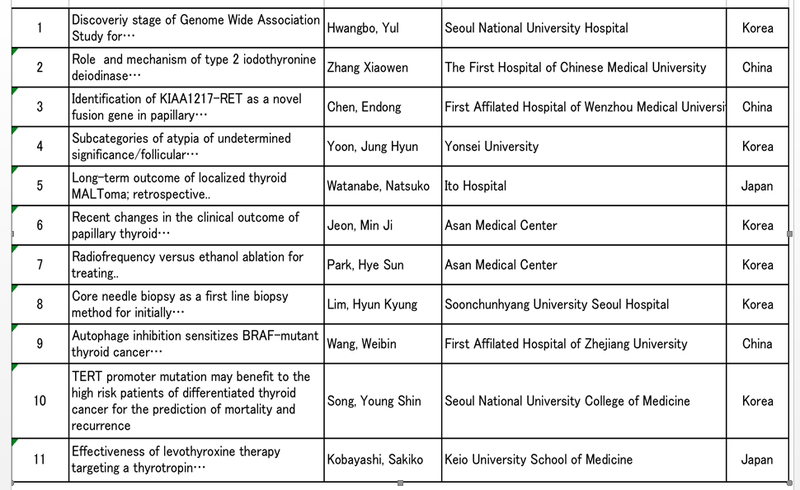 It was in Nagoya, Japan, when AOTA began its every 2-year congress, heralding a more frequent scientific meeting among thyroidologists in and outside the Asian Region. Held in the Nagoya Congress Center on November 1-4, 2009 and held in conjunction with the 52nd Annual Meeting of the Japan Thyroid Association (JTA), the 9th AOTA Congress featured 2 Prize Lectures, 2 Symposia, 1 ICCIDD Symposium, 22 Oral Presentations, 16 Selected Poster Presentations, 146 Posters, 1 Luncheon Seminar, and a Special Lecture by Prof Martin Schlumberger. A visit to the famed Nagoya Castle capped the local tour. The 8th AOTA Congress held in Manila, Philippines on February 4-7, 2007 was a collaboration of 3 medical societies and an international organization. The Philippine Thyroid Association (PTA), the Philippine Society of Endocrinology & Metabolism (PSEM), and the Philippine Society of Nuclear Medicine (PSNM) joined forces with the International Council for Control of Iodine Deficiency Disorders (ICCIDD) in organizing “AOTA in Manila” which drew 633 participants. Held at the Sofitel Philippine Plaza Hotel, this Congress was attended by 467 local and 166 foreign delegates (27% Korean, 20% Chinese, 13% Japanese). The International Board Meeting of ICCIDD was a pre-Congress event with many of ICCIDD delegates acting as lecturers, moderators or panelists. Social events included a Cultural Night & Dinner and a cruise along the Manila Bay and other local tours.